So I am the girl that only likes flowers that match my house. I decorate for Christmas with white and silver and I don't decorate for fall. 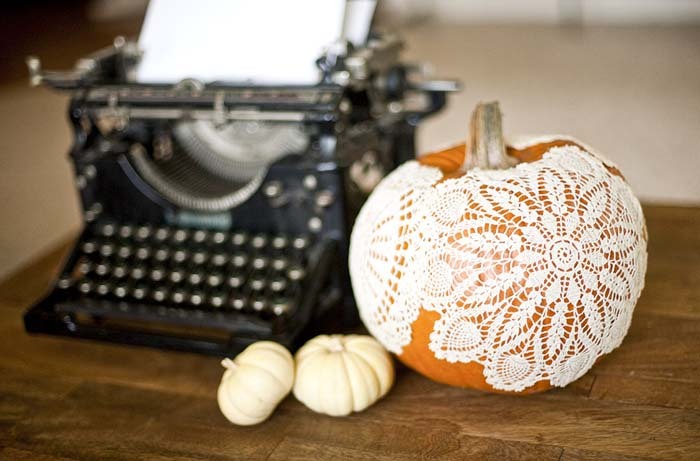 So I was trying to think of a way to bring some fall into the house with too much orange and I came up with doily covered pumpkins. 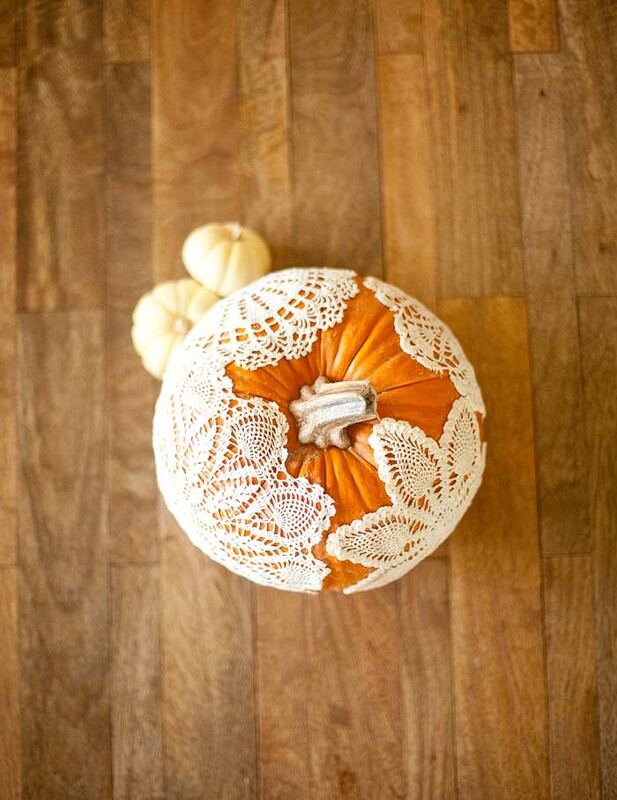 This project probably took 10 minutes and when you are done just peel off your doilies, wash them and they are good as new. The step by step instructions are below images. 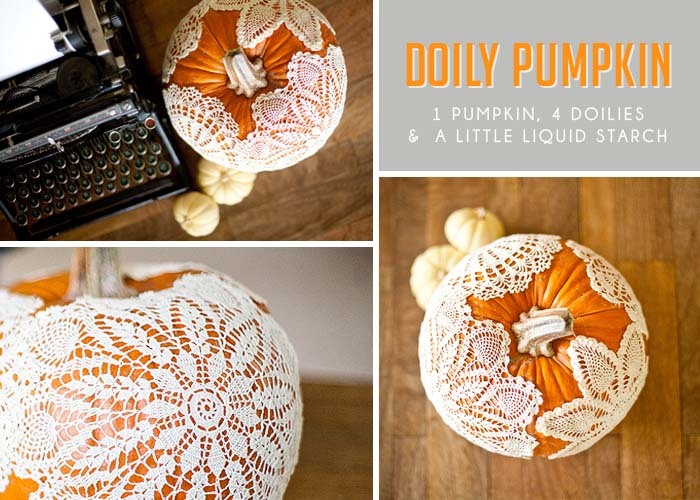 Materials Needed: 1 Pumpkin, 4-6 Doilies (Vintage), Liquid Starch (Wal-Mart). 5. Wipe off excess starch. oooo so pretty and elegant! I love it! Thanks for the beautiful idea! Very very very nice! I like it sooooo much! SO so so so so so SUPER! !Your pumplin rocks!!! Love this Allyson! You're so creative! These are so simple and stunning!